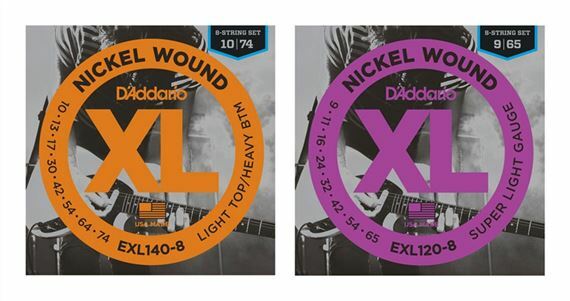 Shop D'Addario EXL120-8 Nickel Wound 8-String Electric Gutiar Strings from AMS and enjoy Fast & Free Shipping. The Daddario EXL 8-String Nickel Wound Electric Guitar Strings are specifically designed to provide a great feel and tone to all you 8 string players out there. These strings are precision wound with nickel plated steel onto a carefully drawn, hexagonally shaped, high carbon steel core. The D’Addario EXL 8 string guitar strings have a long lasting, distinctive bright tone and excellent intonation.